On the special theater performance of 100 Back Hip Circle Team KIII shows yesterday, JKT48 announced the audition of 8th generation members. 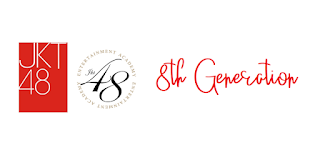 The announcement was witnessed by fans through a video containing training for 6th generation members and 7th generation auditions, and ended with information on audition rules to find new generation seeds. JKT48 Academy will hold the recruitment of new Academy Class B students. They will be joined in the eighth generation of JKT48. JKT48 8th Generation Auditions will be held in February this year. The movement of JKT48 for regeneration is very fast even though the 6th and 7th generation have just been announced 2018. This follows the JKT48 Academy concept where recruitment will be held twice each year.